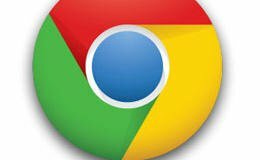 If you sign in Google Chrome browser then you can use Chrome powerful features like a pro. 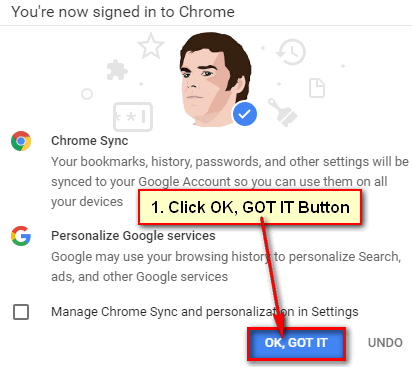 After Google Chrome sign in you can save into sync things like your browsing history, bookmarks, passwords and others things on your Google account. 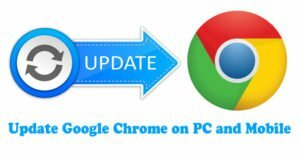 Learn an easy way to sign in chrome on your computer and mobile phone. 1. Open your Google Chrome browser. 2. 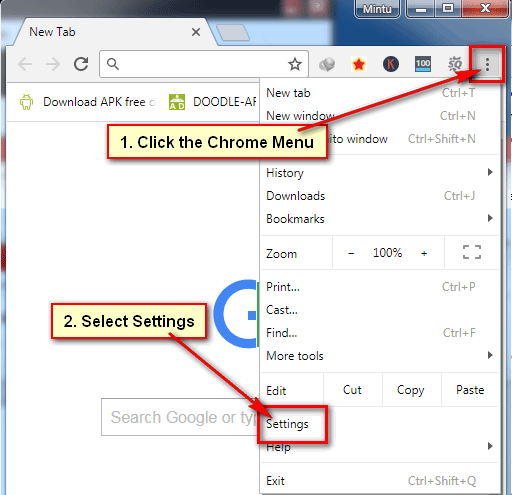 Select the Chrome menu from top-right corner and select Settings to open chrome settings menu. 3. 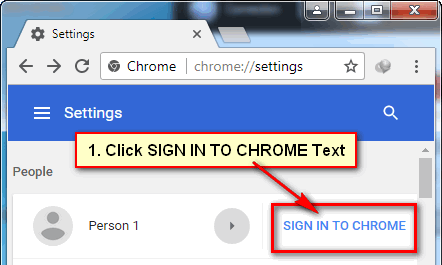 Click the SIGN IN TO CHROME text to sign in Chrome. 4. You will see Google sign in page. 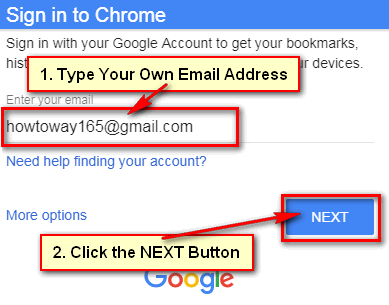 Click the Email address box and type your Google account email address. Click the Password box and type your email password. 5. You will see two options. If you want to add bookmarks, history, and password into this profile then select below option. Click the This was me option. 6. 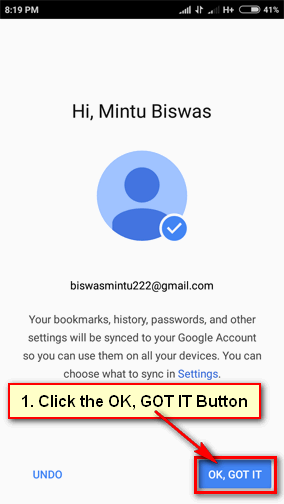 You will see your recently selected account with your Gmail account profile picture if you already have. Click the OK, GOT IT button. 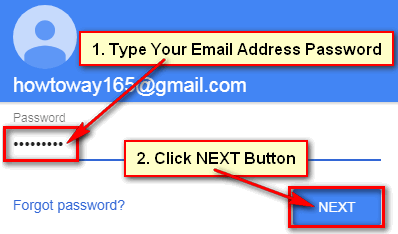 After sign in Chrome, you will see your email address with SIGN OUT button and your Sync will on. 1. 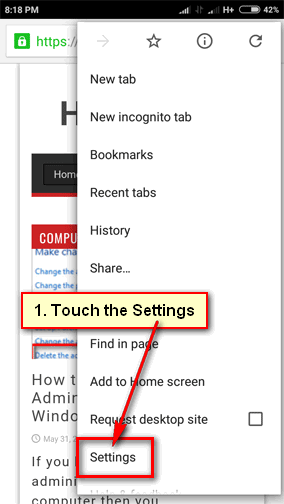 Touch up to Chrome icon to open Chrome browser on your mobile. 2. 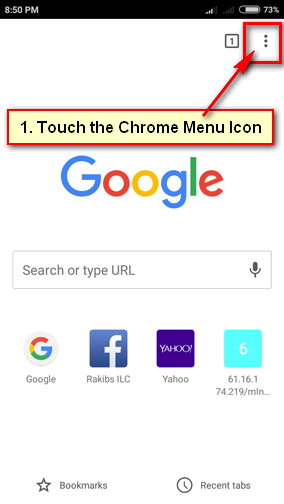 Touch the top-right corner 3 dot sign to open Chrome menu. 3. 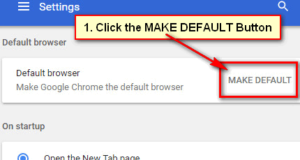 Touch up to the Settings from Google Chrome menu. 4. 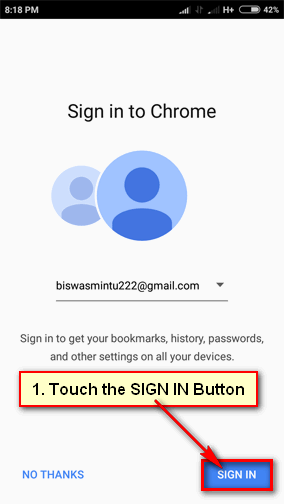 Touch the Sign in to Chrome text. 5. 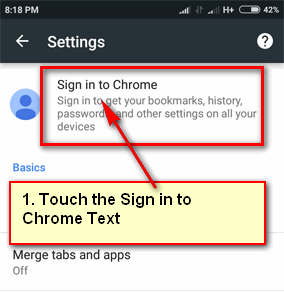 Touch up to the SIGN IN button to sing in Chrome from the mobile phone. 6. 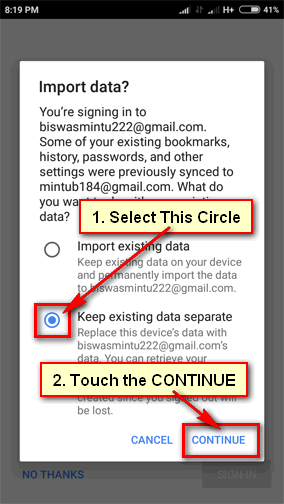 Select the Keep existing data separate circle and touch CONTINUE text. 7. You will see a message with your selected email address. Click the OK, GOT IT button. You will see your selected email account name. Touch up to this text to chrome sync android mobile. Wait few seconds after that you will see Syncing message with your email address.